There are two kinds of constraints when it comes to supply in the physical markets, and anyone building a position in physical metal needs to know the difference. The first type is temporary. The other signals a sea change, the rush for physical metal going mainstream. When it happens, it’ll be “go time” in the physical markets. The time get your hands on products widely available at low premiums will be over. Some bullion investors are wondering if it is “go time” now. The events in Greece, the stock market sell-off in China, and silver prices falling to near $15/oz spiked demand for manufactured rounds, coins, and bars. 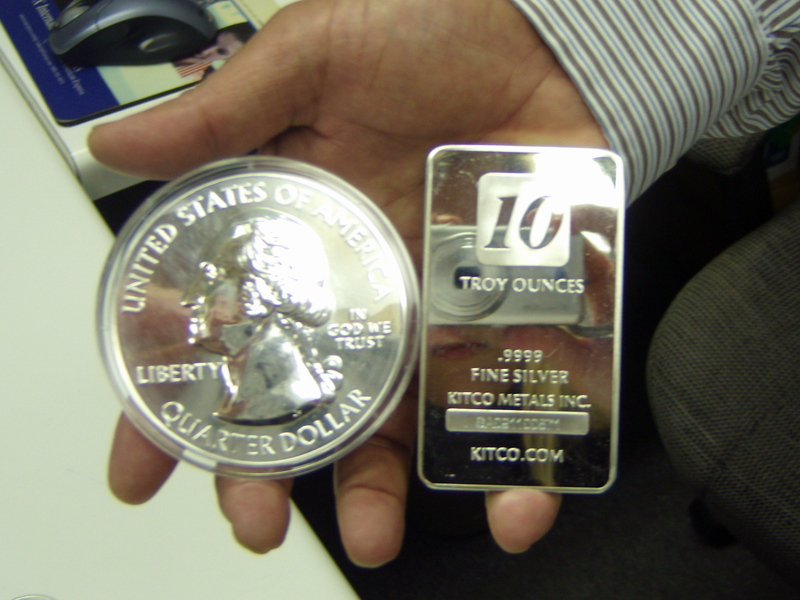 Premiums jumped almost immediately for one-ounce and smaller silver products. Anyone involved in these markets over the past 7 years has been through this drill a handful of times. The drop in silver prices drove up demand, and the U.S. Mint cried “Uncle” (Sam) last Tuesday. Bureaucrats opted to stop taking new orders and instead clear up the existing backlog. Such a move would have been considered extraordinary a decade ago. But the government-run Mint is pressed to its limit these days, setting new records for silver Eagle sales nearly every year since the 2008 financial crisis. Nowadays, surges in buying activity quickly overwhelm them. The Mint has “turned off the phones” three to four times since 2011. Silver American Eagles are still the single most popular product in the U.S. When the Mint stops selling them, the effects sweep through the entire marketplace. Premiums jump in response to a scramble for the remaining inventory of Eagles. Demand spills over to alternative products. The pressure drives premiums higher and shipping times longer. This first occurs with government coins, then in rounds, and finally, if extreme, bars of 100 ounces and smaller. We’re in the middle of another shortage of fabricated silver in the most popular varieties. This demand spike looks manageable for now. The relatively small, but growing, contingent of people concerned enough about world events to buy physical bullion is driving this surge. They see troubling headlines and lower prices as an opportunity, while the mainstream of investors continues to focus elsewhere. Supply for coins in particular has fallen behind and has to catch up. Spot prices are falling even as demand and premiums for bullion rise. Traders are actively selling paper silver in the futures markets. They remain wholly unconcerned about taking actual delivery of the underlying exchange-sized bars. Mints and the manufacturers who make 5, 10, and 100 ounce bars can still get 1,000 ounce bars or silver grain to melt. They just can’t process them quickly enough to keep up with retail bullion investors who are clamoring to buy. Bar premiums have not risen yet. Bars are simplest to manufacture, making production easier to ramp up. Premiums are less affected by surges than smaller and more labor intensive one-ounce coins and rounds – at least when raw silver remains in adequate supply. Investors can still buy 1,000 ounce bars inside an exchange vault without paying an increased premium. One way to dodge higher premiums during a fabrication bottleneck is to buy exchange-sized bars and keep them parked in segregated storage until the cost of the smaller items, more suitable for delivery, falls. We continue to lock prices in advance and accept orders for all products, even if we have to quote modest lead times. Responsible dealers won’t take an order unless they are confident they can keep a commitment to deliver when promised. Dealers and their customers can cope with a stretched supply chain, but not one that is broken. The U.S. Mint expects to resume taking orders on August 1st. That may well signal the end of the current fabrication bottleneck. Premiums may drift lower and lead times may disappear as dealer inventories replenish. If you ALREADY own a substantial position in precious metals and you are confident spot prices will not rise in the coming weeks, it’s not unreasonable to delay purchases in the interim. Premiums certainly could fall soon. But don’t delay too long. The contingent of investors with failing confidence in the paper markets for stocks, bonds, and futures is growing. The day is coming when lots of people respond to increased risk and uncertainty in the financial markets by buying a few coins. Then it is GO TIME. Inventories of above ground metal in any form will dry up, and the market will seek a new equilibrium at much higher prices. Premiums would rise across the board – from scrap jewelry to American Eagles. Not only will smaller fabricated products be in short supply, investors and manufacturers will both be bidding aggressively for silver in raw form, including exchange-sized bars. Exchange-sized bars would be hard to find for immediate delivery. The COMEX and other futures exchanges would impose cash settlements on contract holders. Traders would be confronted head-on with a very unpleasant reality when they suddenly decide to stand for delivery. There are 100 times more paper ounces than physical bars to back them. Holders of futures contracts on precious metals would wind up with cash instead of the metal they would much prefer. Bullion dealers would stop locking prices in advance of your payment on orders. If they can no longer be certain of wholesale premiums and/or minting charges for replacement inventory, they will be reluctant to set a price with customers up front. And, if they aren’t certain when inventory will arrive, many will stop accepting orders for a product altogether. The number of people unnerved by recent action in the paper markets for stocks, bonds, and currencies IS growing. The last couple of weeks have been particularly hard on confidence. Chinese officials now threaten to arrest citizens for selling stocks. Greece is in the vanguard of many nations who can no longer kick the can on unpayable debts. And last week’s surprise shut-down in the New York Stock Exchange highlights just how fragile today’s electronic exchanges are. “Go Time” in the metals markets may not be here yet, but it’s coming. Next articleAnother Negative Price Reaction to Bank of America Earnings?